Get the clinical answers you need anytime, anywhere. With so many potentially practice-altering studies being published every day, it can be overwhelming and extremely time-consuming to stay current. UpToDate saves physicians time by providing fast, accurate answers to clinical questions at the point of care. Are you interested in providing UpToDate to your entire organization? 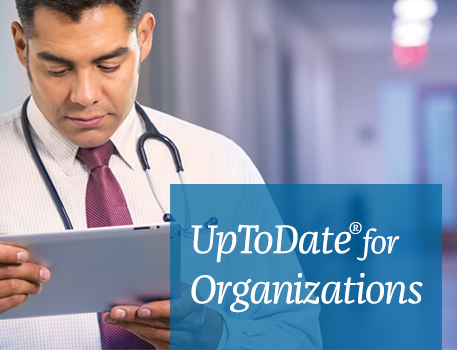 Click on the "UpToDate for Organizations" button below to learn how UpToDate improves quality of care and saves money at healthcare organizations around the world. 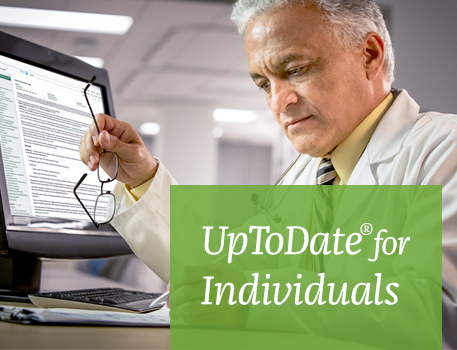 Are you interested in purchasing your own subscription to UpToDate? Click on the "UpToDate for Individuals" button below to restore your UpToDate access today! UpToDate was consulted over 1 million times per month in Saudi Arabia to improve patient care. If you've already purchased an individual subscription, log in here.